The Queens Workspace Initiative (QWI) is a project conceived and led by Exploring the Metropolis (EtM) to help ensure that the performing arts offerings in the borough of Queens are the best they can be.The major activities comprise surveying performing artists, cultural facilities and other stakeholders; making recommendations to stakeholders and policymakers; and conducting pilot programs. 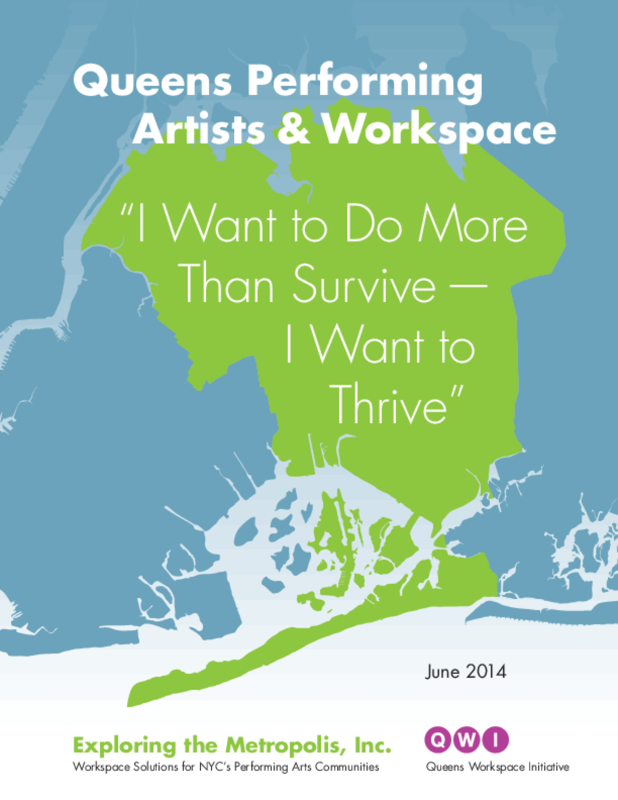 In 2013-14, Exploring the Metropolis has been assessing workspace needs for performing artists in Queens. We've interviewed key players, sent out surveys, held focus groups and studied ways to help the Queens performing arts community grow and thrive. Copyright 2014 Exploring the Metropolis, Inc. Copyright holder(s) Exploring the Metropolis, Inc.